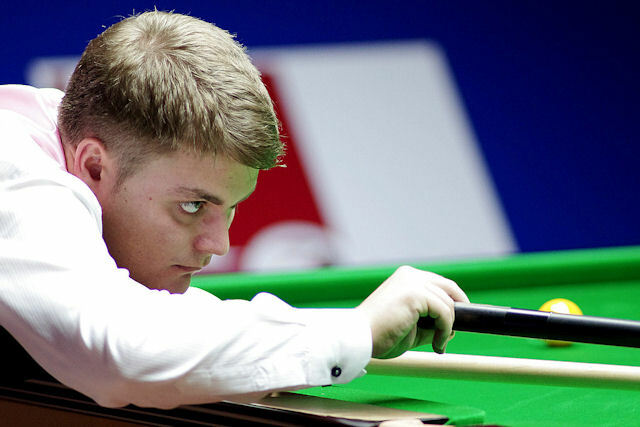 Welsh potting ace Michael White is ready to move to the next stage of his promising career and hopes for a breakthrough this season. The 23-year-old from Neath has jumped to 25th in the world rankings after some fine results this season, notably beating Neil Robertson to reach the quarter-finals of the Shanghai Masters. He is yet to reach the last four of a ranking event but is full of confidence ahead of his home tournament, next week’s BetVictor Welsh Open in Cardiff. “I’m going in the right direction,” said White, who reached the quarter-finals of the 2013 World Championship, beating Mark Williams on his Crucible debut. “I am knocking on the door of getting to the later stages of tournaments and it will happen for me before long. White admits he has a poor record in the Welsh Open, having failed to get beyond the second round in six previous attempts. He’s not alone among Welsh players in that respect – Mark Williams was the last home favourite to win the title, in 1999. “I suppose there’s a bit of pressure and expectation as it’s our home tournament,” he said. “We should have an advantage because we can stay at home, practice at our own clubs and drive to the venue every day. We all have friends and family coming to support us and we don’t want to let them down, and maybe that affects our performance. The tournament at the Motorpoint Arena runs from February 16 to 22 with all 128 players starting in the first round. Ronnie O’Sullivan will be defending the title while Judd Trump, Neil Robertson, Mark Selby, Shaun Murphy, John Higgins and Jimmy White will be among the other top stars in action. With 11 tables in the arena it’s a fantastic chance to see a host of players on the same day.